We have a special place in our Martian hearts for the indie and underground work of the 1960s and 1970s: comix as opposed to comics! 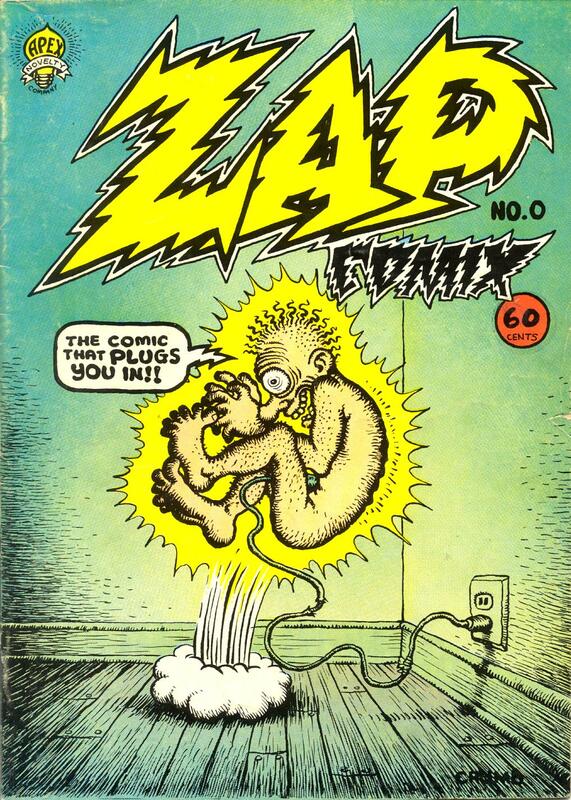 In the world of undergound comix, few magazines hold such a revered place as the first issue of Robert Crumb’s Zap. 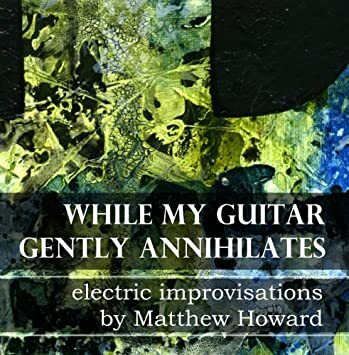 We preserved our bank account by finding an eighth printing of this far-out book. 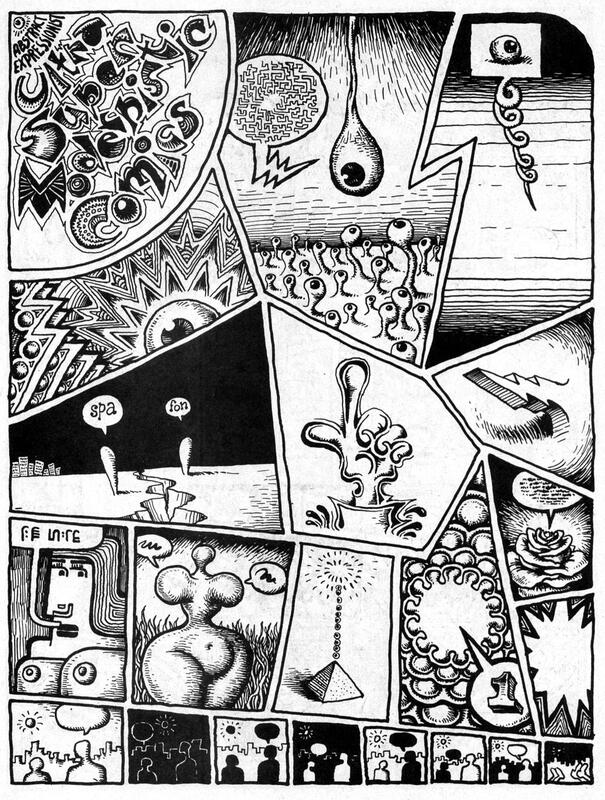 In addition to many humorous vignettes, Crumb blew minds with more experimental, psychedelic pieces. Dig this three-page Abstract Expressionist Ultra Super Modernistic Comics! – From Zap Comix #1, 8th printing. – Find issues of Zap direct from Last Gasp. Much of Robert Crumb’s work has been collected by Fantagraphics in The Complete Crumb Comics.